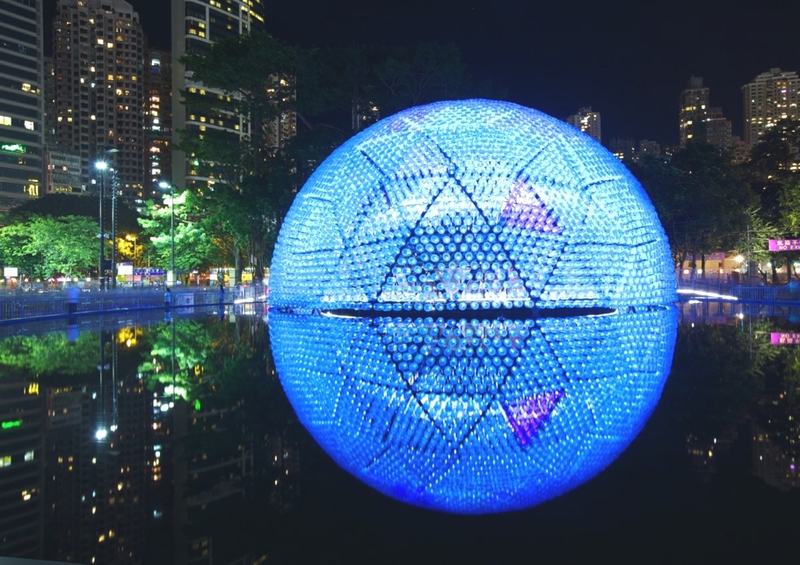 Hong Kong-based studio Daydreamers Design have created the Rising Moon Pavilion. 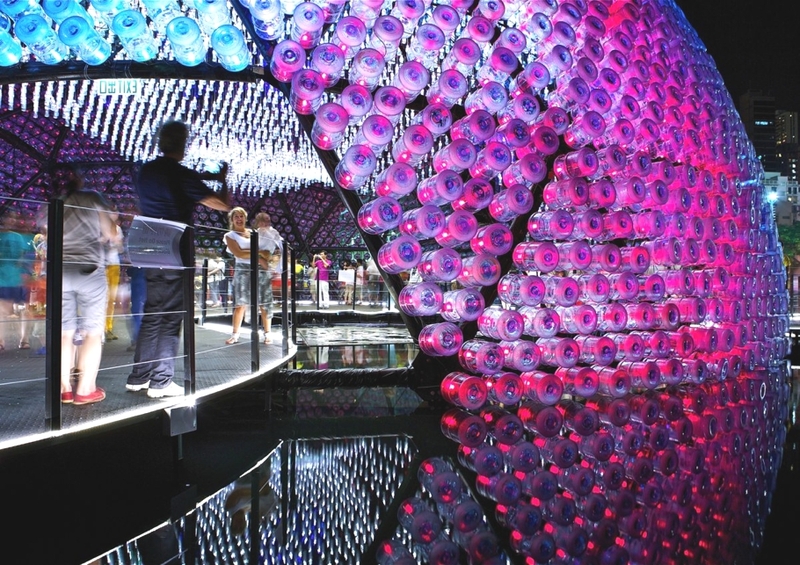 Completed in 2013, the contemporary pavilion was designed for the Hong Kong Mid-Autumn Festival. 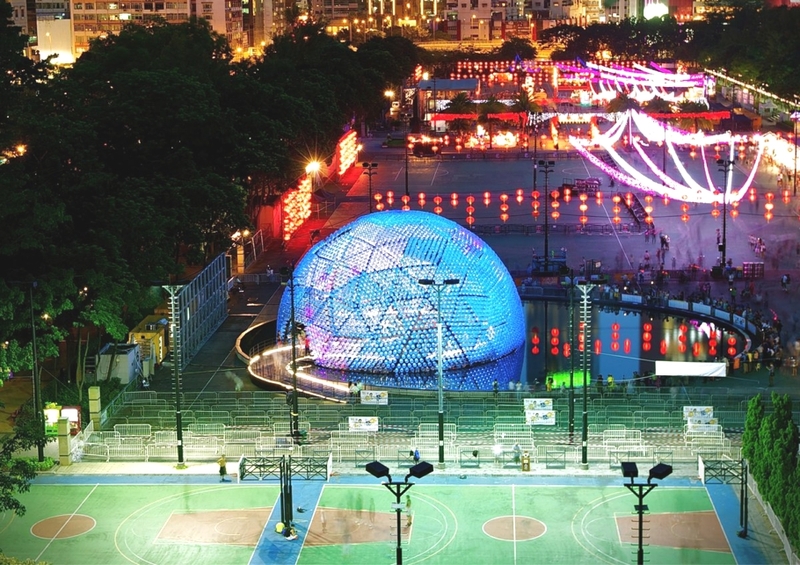 Rising Moon was a temporary pavilion designed to serve as the main attraction during the 2013 Hong Kong Mid-Autumn Festival. 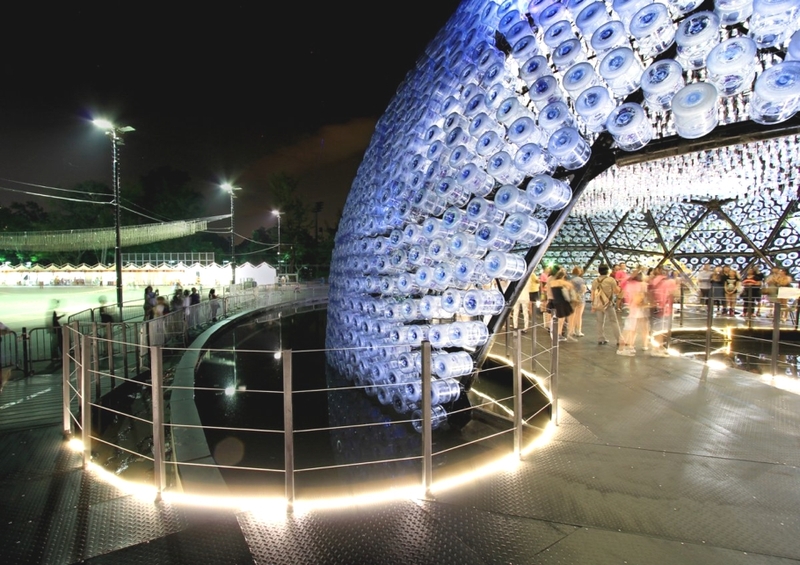 It used recycled plastic bottles to create a synthetic moon, thus promoting the message of environmental protection. Rising Moon offered strong visual impact with sound and lighting effects externally and internally. 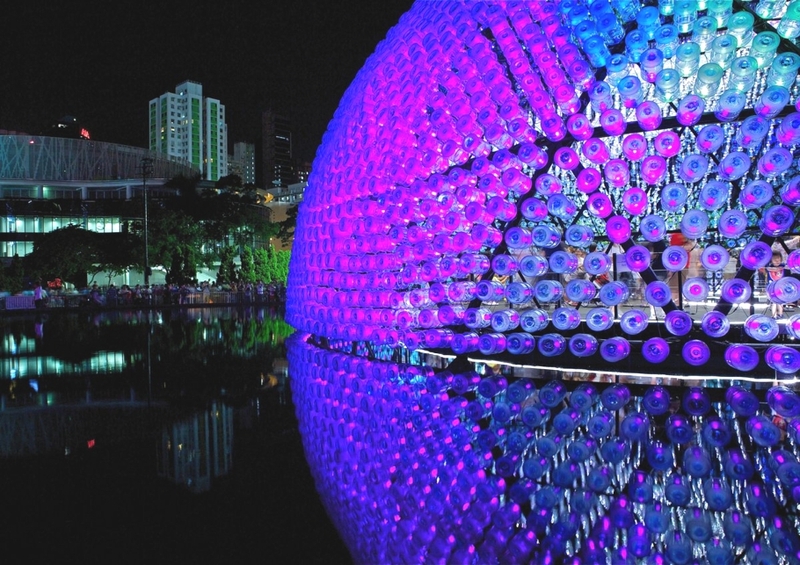 The design received the Gold Award at the Lantern Wonderland Design Competition in May 2013. This award-winning design, Rising Moon, was a spherical playground of light and sound. 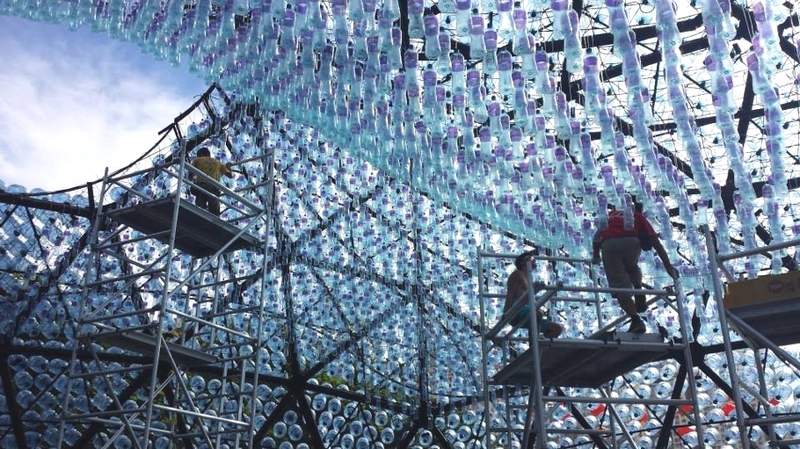 Ten metres in height, the structure had a surface constructed from 7,000 recycled water bottles, with LED bulbs to mimic individual Chinese paper lanterns. 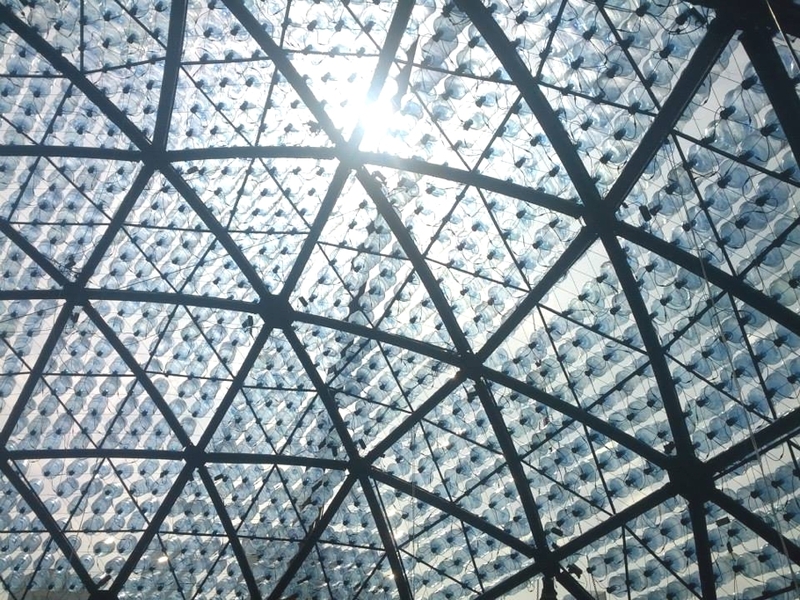 The dome used different light effects to imitate the lunar phases. 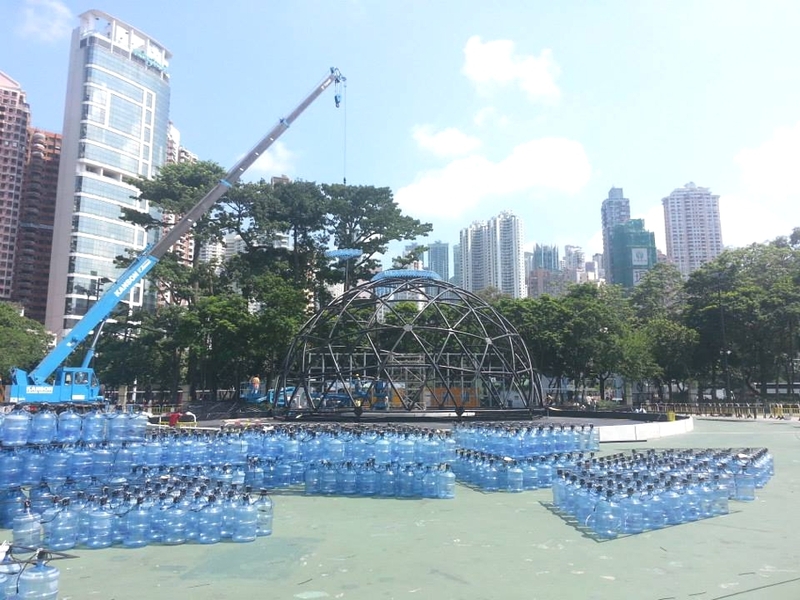 The contemporary pavilion was sitting on top of a reflective pool. This was to allow the moon to have a complete sphere visually on the outside, having the other half appearing on the pool as a reflection. 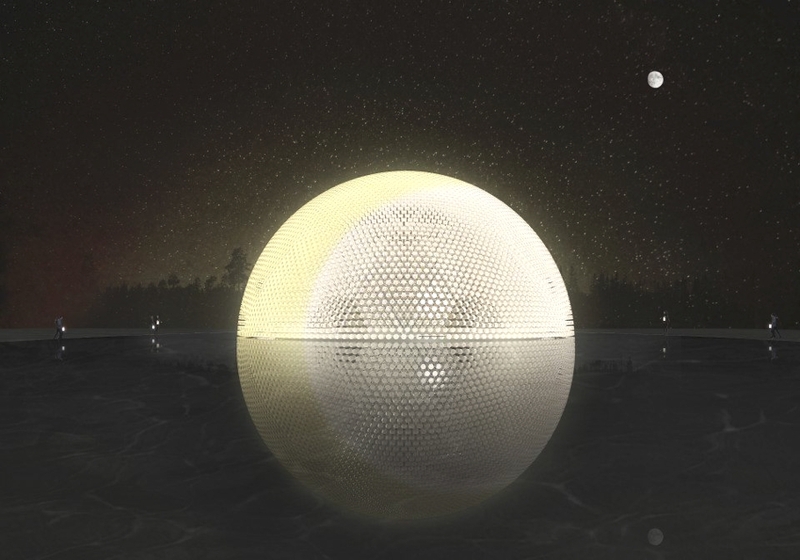 The Rising Moon consisted of a steel dome structure based on the geodesic dome design with triangular modules. Visitors had the opportunity to experience the whole journey by the pathway which ran through the pavilion. The journey began from the edge of the reflective pool, it leaded to the entrance of the Rising Moon. 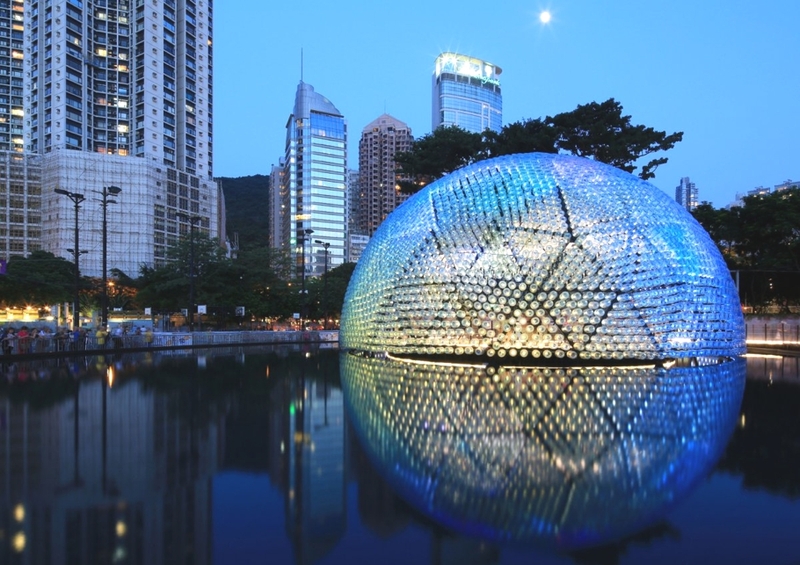 It had 20 meters in diameter by 10 meters in height spherical interior space, and also an opening on the roof to let the moon shined into the pavilion at night. 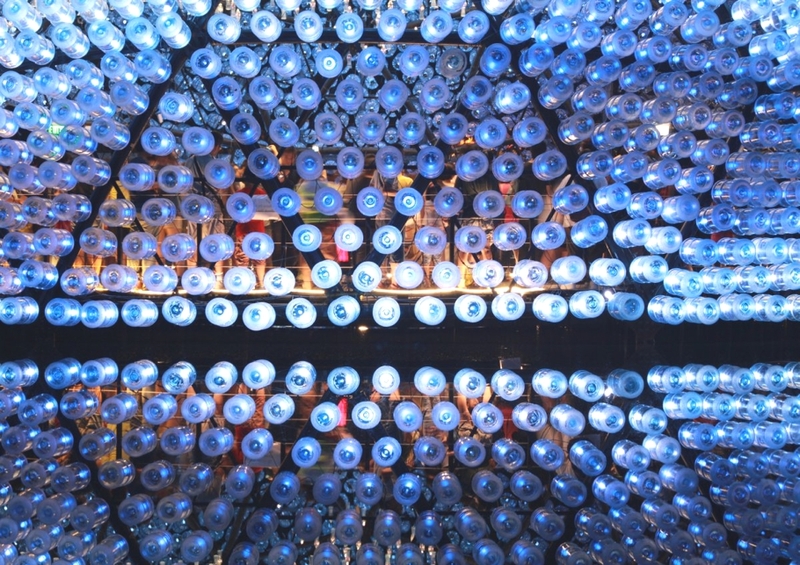 In order to arouse the public awareness of the damage made to the city by those bottles, they had included a lighting installation hang from the ceiling as to mimic the tradition of hanging paper lanterns under the eaves. 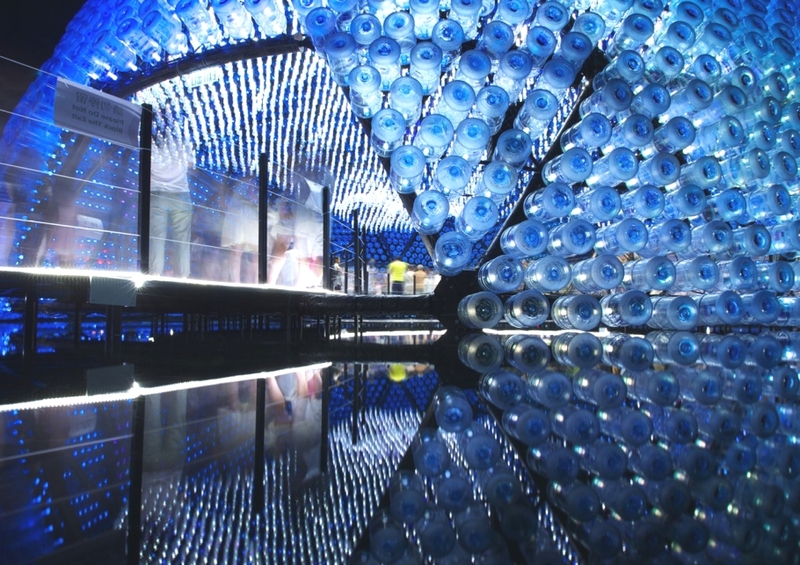 Once the installation had completed, a sea of bottle lanterns with LED appeared inside the pavilion. This gave a strong visual impact to the visitor as they enter, and drew the attention towards the opening. 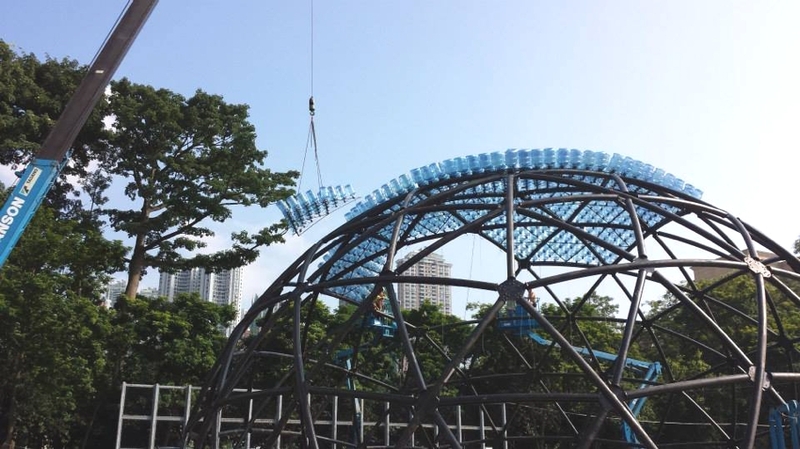 The temporary pavilion was the result of a design competition organised by the Hong Kong Tourism Board and supported by the Hong Kong Ambassadors of Design, the Hong Kong Designers Association and The Hong Kong Institute of Architects. The Calabash is Grenada’s only ‘all-suite’ luxury hotel with immaculate gardens spilling onto the powdery white sands of the secluded L’Anse Aux Epines beach on the pretty Caribbean isle of spice. 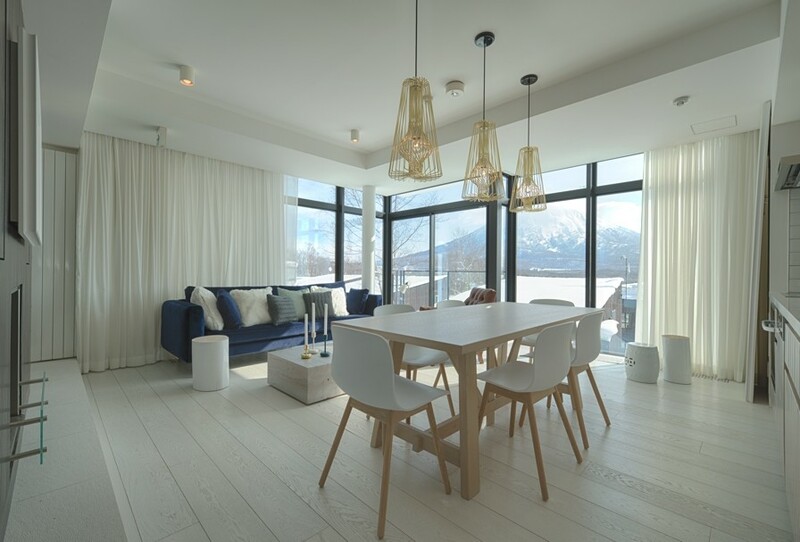 Loft Niseko is a luxury development comprising of four loft-style three-bedroom apartments in Niseko, a famous ski resort town on the island of Hokkaido, Japan.